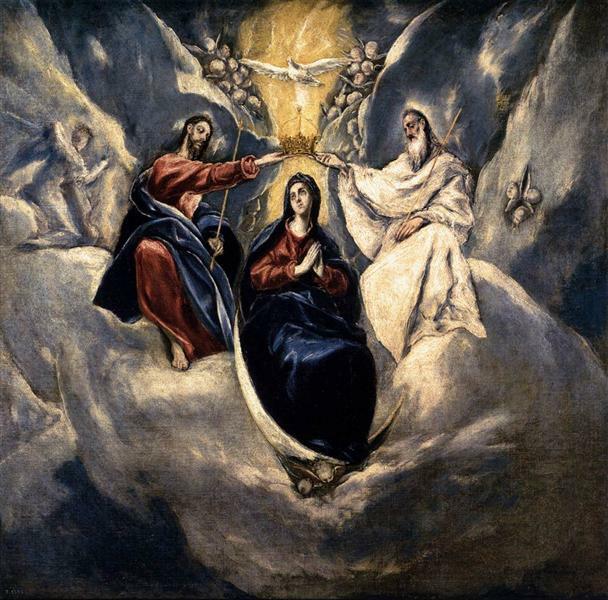 One of only two surviving landscapes by El Greco, View of Toledo is among the best known depictions of the sky in western art. 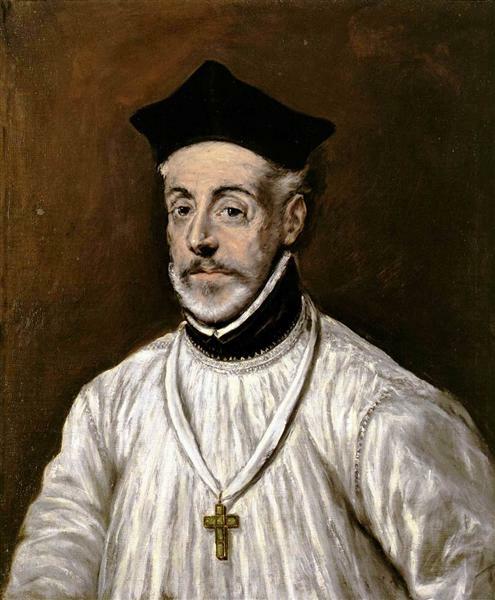 At the time it was painted, it was rare to portray an isolated landscape scene, making El Greco the first landscape artist in the history of Spanish art. It is not a true representation of the landscape of Toledo, however. Although the castle is in the correct place, the rest of the buildings are not truly represented in location or distance to each other. The painting is specifically mentioned in the movie “V for Vendetta,” in which the main character Evey Hammond directs her captor’s eyes toward the painting. 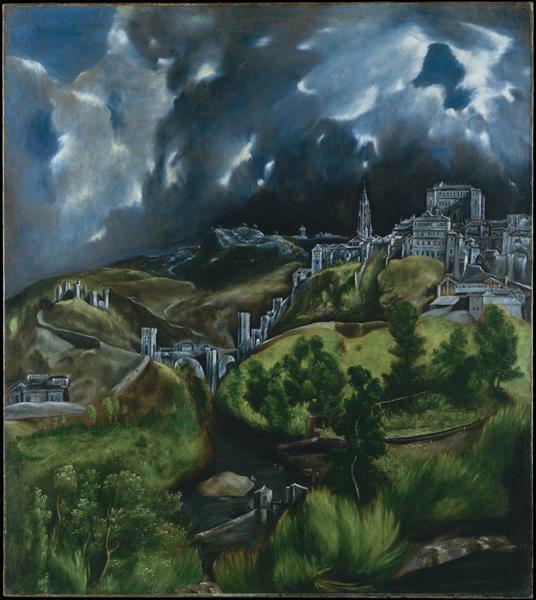 View of Toledo (original title Vista de Toledo), is one of the two surviving landscapes painted by El Greco. The other, View and Plan of Toledo lies at Museo Del Greco, Toledo, Spain. View of Toledo is among the best known depictions of the sky in Western art, along with Vincent van Gogh's The Starry Night and the landscapes of J. M. W. Turner and Claude Monet, among others. Most notable is the distinct color contrast between the dark and somber skies above and the glowing green hills below. 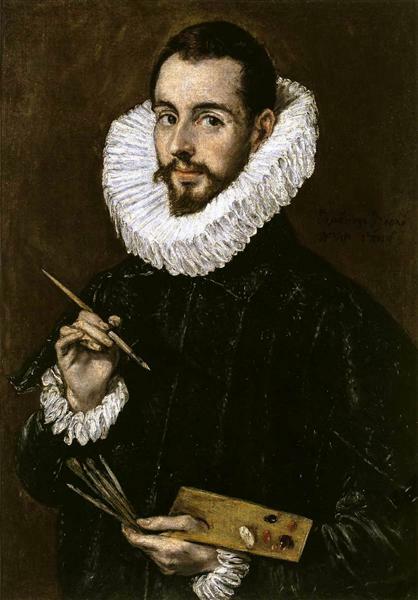 While influenced by the Mannerist style, El Greco's expressive handling of color and form is without parallel in the history of art. In this painting, he takes liberties with the actual layout of Toledo insofar as certain building locations are re-arranged. 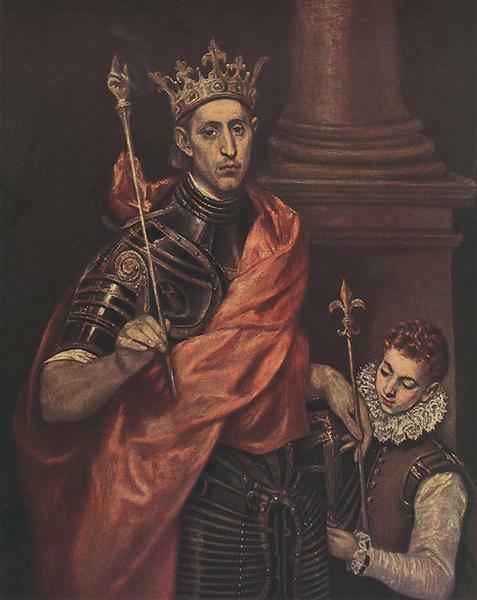 However, the location of the Castle of San Servando, on the left, is accurately depicted. 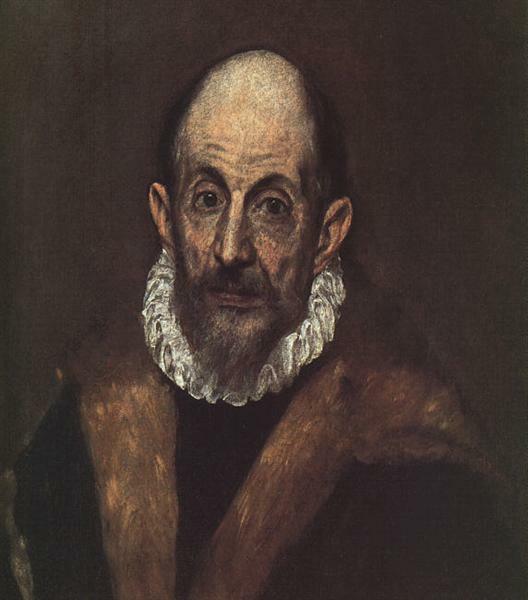 El Greco's signature appears in the lower-right corner. Landscape paintings were rare among Spanish paintings of the Renaissance and Baroque periods. The Council of Trent's ban against landscape painting lends credence to the idea that this work may stand as the first Spanish landscape painting of its time. It is thought that this painting's enigmatic symbolism could be related to the mysticism that infused the city during the period. 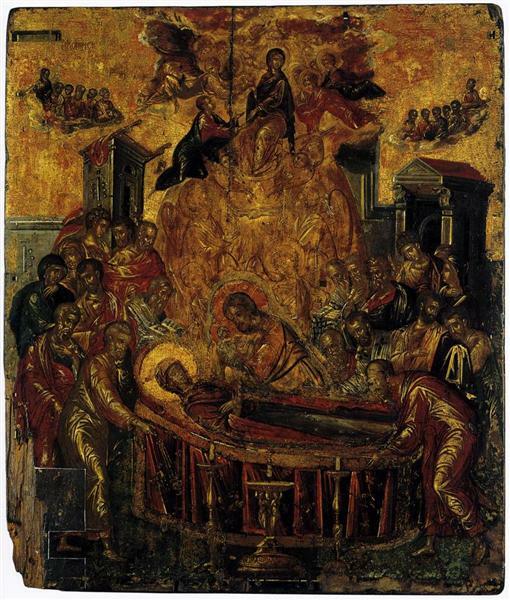 The English art historian David Davies asserts that the philosophies of Platonism and ancient Neo-Platonism, the works of Plotinus and Pseudo-Dionysius the Areopagite, the texts of the Church fathers and the liturgy offer the keys to the understanding of El Greco's style. 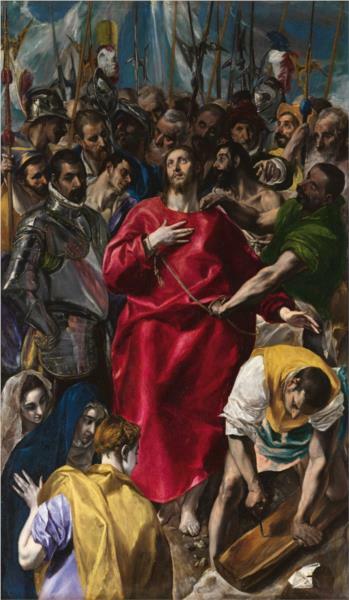 Summarizing the ensuing scholarly debate on this issue, José Álvarez Lopera, curator at the Museo del Prado, Madrid, concludes that the presence of "Byzantine memories" is obvious in El Greco's mature works, though there are still some obscure issues concerning his Byzantine origins needing further illumination.